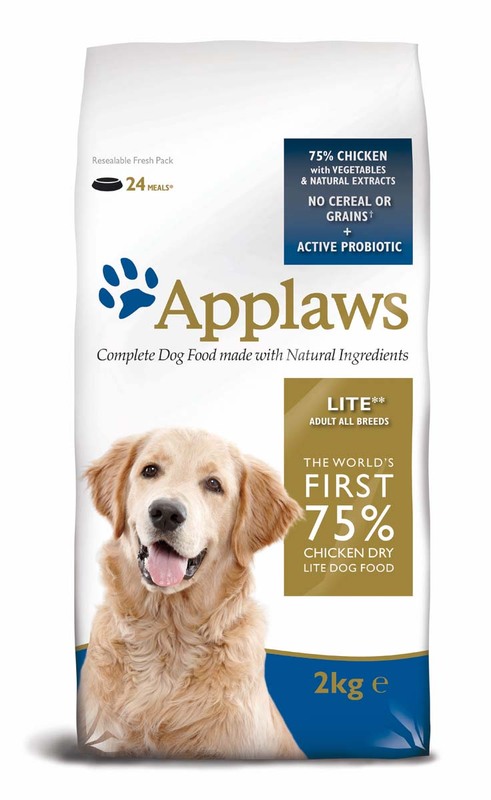 Applaws Adult Lite All Breeds Chicken Dog Food has been created because dogs stomachs have evolved to digest meat proteins not cereal proteins and so dog foods with a high cereal or grain content can therefore be hard to digest. 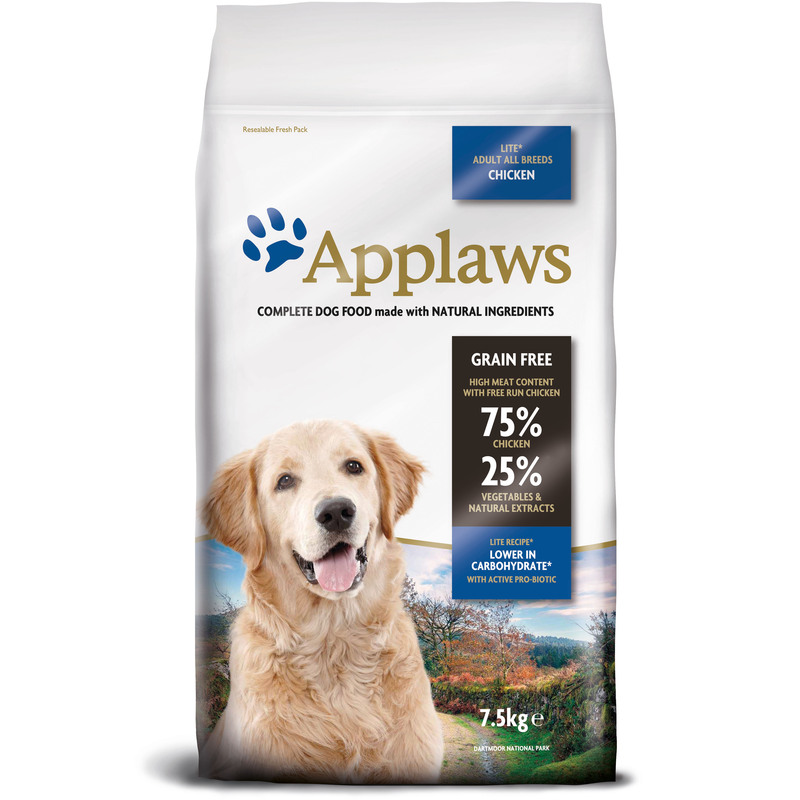 This 100% natural variety contains 75% meat and is perfect to feed when your dog needs to loose or control its weight or for any less active dogs prone to weight gain. 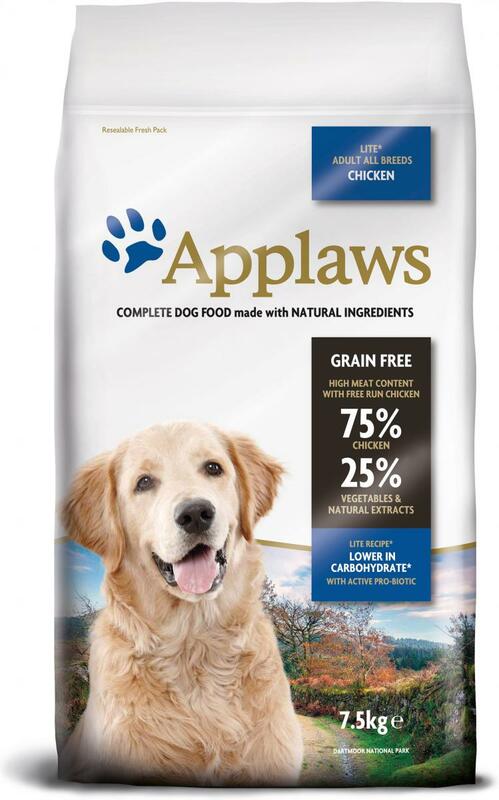 Vitamin A (retinyl acetate) 19,000 IU/kg, Vitamin D3 (cholecalciferol) 2,000 IU/kg, Vitamin E (alpha-tocopherol acetate) 640 mg/kg. 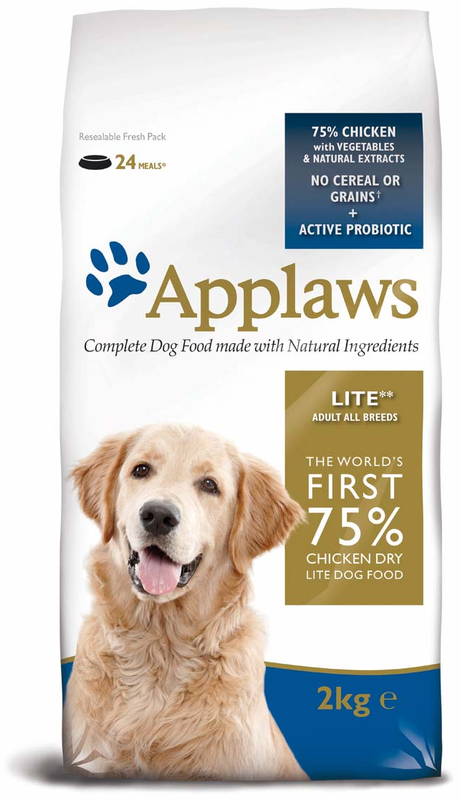 There are currently no questions for Applaws Adult Lite All Breeds Chicken Dog Food - be the first to ask one!